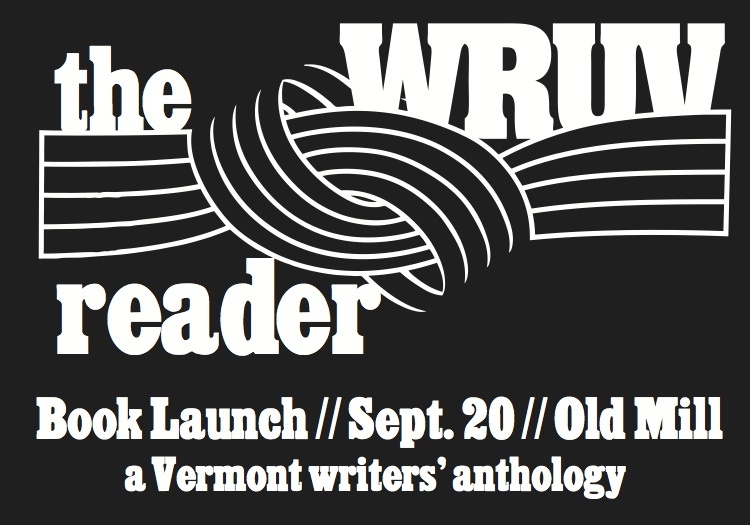 No matter where I live, I will always consider myself a Vermont writer, so I’m deeply excited to be included in this anthology. I’m also looking forward to attending the book launch on September 20th at UVM. If you’re in Burlington come by! Listen to some great local writers read their work and pick up your own copy of this anthology, assembled by WRUV. 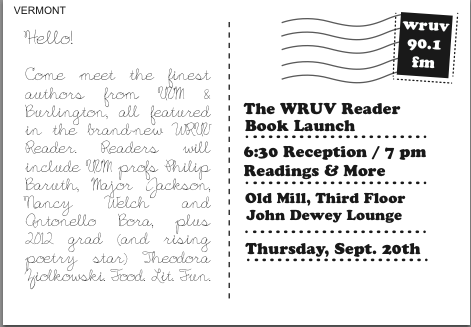 The WRUV Readerwill premiere Thursday, Sept. 20, in the John Dewey Lounge, on the third floor of UVM’s Old Mill. Reading their own work from the book will be Major Jackson, Suzi Wizowaty, Greg Bottoms, Philip Baruth and more. Reception begins at 6:30 with snacks, followed by readings at 7 p.m.